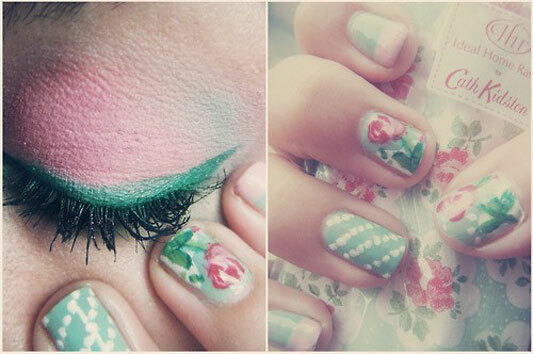 Inspired by the pretty floral patterns of Cath Kidston designs, this is a really cute look for spring brides. And its surprisingly easy to do yourself, all you will need are a few different nail polish colours, a topcoat and a thin brush to apply. There are some great video tutorials you can check out here and here.